Annuities in Del Mar San Diego California Arizona & Oregon - Lutz Insurance Services, Inc. Call Stephen Lutz and ask for more information about this interesting retirement income vehicle. For a specified period of time or for the rest of your life, you can use an immediate annuity for regular payments. Immediate annuities are single payment annuities. 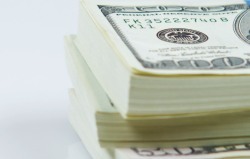 A large sum of cash can be used for income for a specific time frame. These are not intended to offer liquidity or growth. An annuity that is fixed or variable paying a certain monthly amount. Income annuities are usually purchased in a lump sum and are used to provide a stable income for retirement. This annuity will begin payments from a specific date. Usually these are purchased with payments or sometimes a single payment. These payments are typically made while the insured is working in order to receive payments during their retirement. This annuity is used for retirement or savings for long term investors that want to have the stability of a fixed interest rate with no risk that they'll every lose any of the principal. A fixed annuity will provide steady and guaranteed growth with the tax-deffered benefit. With a variable annuity, the insurance company pays periodic payments to your either now or at a future date. The insured might see higher growth from a variable annuity, but will also be at risk from market changes. Variable annuities will vary will the performance of the investment options that are chosen.